 If you’re new to surfing, you can join our Aloha Beginner Group lesson. Our maximum group size is 6 surfers, so everyone will receive personalized instruction at fantastic value. All of your equipment hire is included, including a high quality soft-top surfboard and full length wetsuit. The class begins with a 20 minute beach theory, where you’ll learn ocean safety and awareness, surfboard orientation, the paddle technique, and pop-up technique. Your instructor will demonstrate how to catch waves and ride them to the beach. 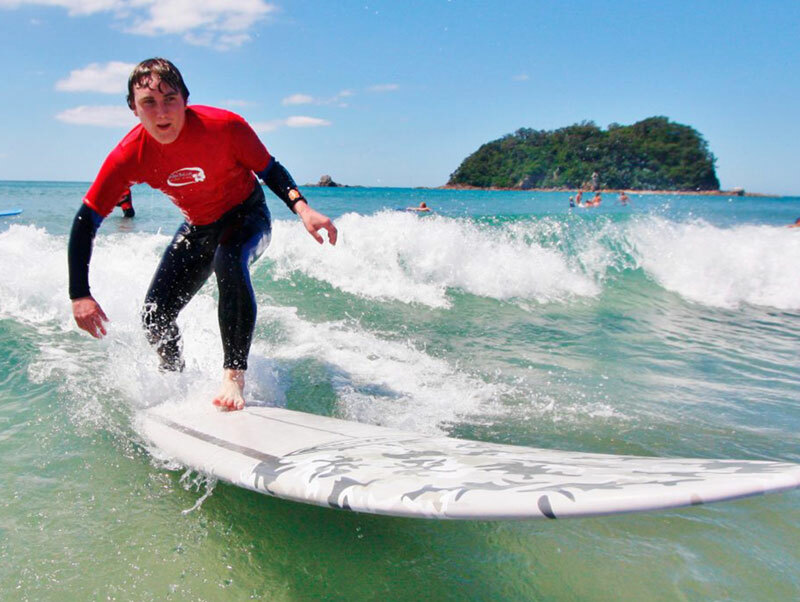 Then you’ll be taken into the water, where your instructor will help you onto small waves, provide feedback, and make sure you have plenty of fun. By the end of the class you will be surfing the waves! For your very own lesson scheduled to suit you, a private lesson package is perfect. Nothing beats personalized surf instruction with a professional coach. Perfect for those wanting to fast track their surfing, for those who learn best one-on-one, or those who want a lesson with just their significant other or buddies. You’ll receive everything that’s included in the group lessons, in addition to having your own personal surf instructor. Bonus: Bring friends along for just $70 extra per person. Popular with friends, couples and families! With a 5 day Endless Summer package, you will see improvement that would have otherwise taken years to achieve. 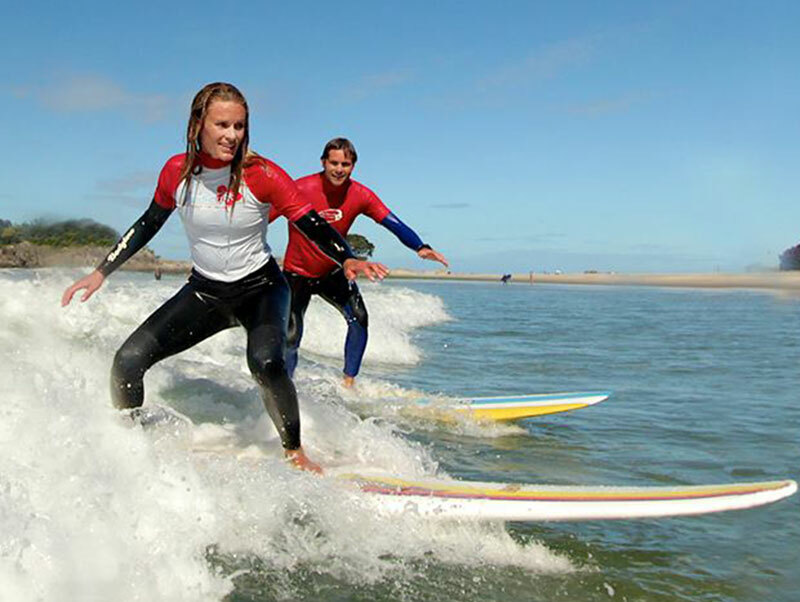 A week of pure surfing adventure for the beginner surfer – a fun, intensive surf package held any 5 days of your choice.